Original Antique engraving by J. O. Davidson, published by Harper's Weekly, Nov. 19, 1881. 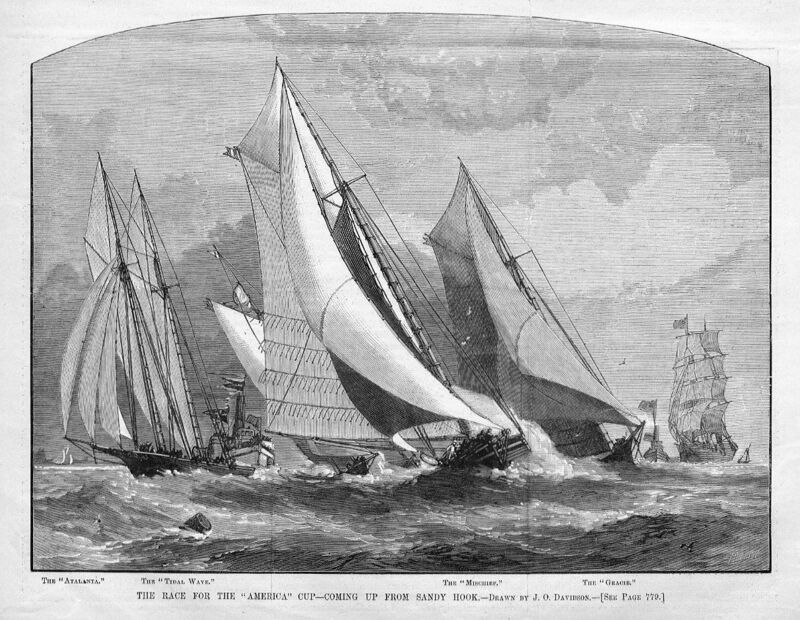 The print is titled " The Race For The America's Cup - Coming Up From Sandy Hook ", and features the boats " Atlanta " and " Tidal Wave ", " Mischief " and " Gracie ". The print is in excellent condition and is Ready For Archival Framing. Measures 11" X 15 3/4".